UPS places largest Semi order: The largest operator of commercial trucking fleets in the world has taken the largest order so far of the Tesla Semi electric trucks. UPS has played an order for 125 of Tesla’s new all-electric Semi tractors. 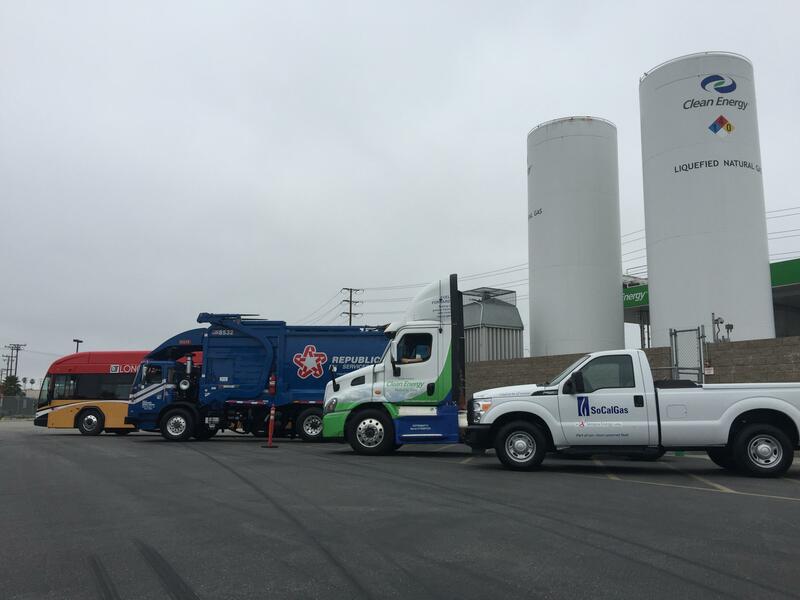 It falls into the company’s extensive clean transportation fleet that includes vehicles powered by electricity, natural gas, and propane. Tesla Semis are poised to usher in a new era in improved safety, reduced environmental impact, and reduced cost of ownership, UPS said in a statement. Last week, PepsiCo Inc. had placed the largest Semi order with Tesla at 100 units in its efforts to reduce fuel costs and fleet emissions. Cap-and-trade auction strong: The California Air Resources Board reported strong transfer activity in its most recent cap-and-trade auction results for November. Since the program’s inception, the total amount of auction proceeds that have been placed into the California Greenhouse Gas Reduction Fund comes out to about $6.4 billion. California’s cap-and-trade program began auction sales in late 2012 as an offshoot of the state’s AB 32 global warming act. Under the state’s regulatory structure, large polluters buy carbon credits that come from businesses generating surplus allowances. Collected funds from the auctions fund emission-reducing endeavors, including sustainable energy projects and rebates for electric vehicles and solar panels. Branson becomes chairman: Virgin Hyperloop One has raised an additional $50 million ahead of its Series C round of funding. Richard Branson, founder of the Virgin Group, will become chairman of the high-speed transportation company. Branson joined the board of directors in October after Virgin Group invested in the company. The company has also completed its third phase of testing achieving historic test speeds of 387 kilometers per hour (240.4 miles per hour). Branson is internationally known for achievements in air, rail, and space transportation, and his commitment to sustainability. Toyota electrified vehicles: Toyota Motor Corp. has set targets for electrified vehicles through 2030, with 5.5 million units to be sold by that year including 1 million zero-emission vehicles (all-electric and fuel cell vehicles). By 2025, the automaker will have every Toyota and Lexus model available as a dedicated electrified vehicle or it will have an electrified option available. Electrified options include all-electric, plug-in hybrid, fuel cell, or hybrid. During the 2020s, the PHEV lineup will be expanded and more than 10 battery electric vehicle models will be available worldwide by the early 2020s; and passenger and commercial FCEVs will be expanded during that time period. Hybrids will receive further development of the Toyota Hybrid System II. It all ties into the Toyota Environmental Challenge 2025 addressing global warming, air pollution, and limited natural resources and energy supply. Karma names new CEO: Karma Automotive has named a Chinese auto executive as its new CEO, replacing Thomas Corcoran. Liang Zhou had served as CEO at Beijing Foton Daimler Automotive Co., Ltd., a joint venture between Daimler and Chinese truck manufacturer Foton. He had previously served as general manager at Naveco, a joint venture of Iveco of Fiat and Nanjing Auto. Corcoran had taken the lead at the luxury electric carmaker since Wanxiang Group had purchased the company in bankruptcy court. There’s no word yet on why he’s left the company. The Irvine, Calif.-based company launched the $130,000 Karma Revero plug-in hybrid last year that’s being build nearby at its Moreno Valley facility. Plug-in electrified vehicle sales – a look at the global market: Bloomberg New Energy Finance has projected that total annual global sales will exceed 1 million units for the first time in 2017. About 287,000 units were sold in the third quarter, up 63% over Q3 2016. 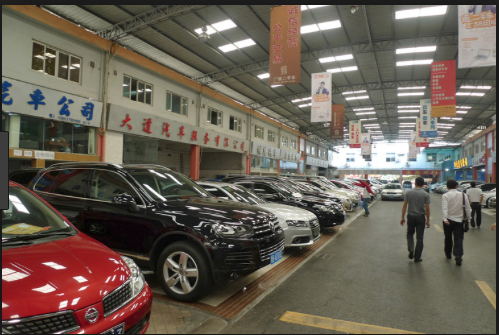 China has seen about half of these sales as the government continues to incentive new energy vehicles and automakers roll out more offerings. China continues to make up the lion’s share of the global market and was more than twice the size of No. 2 market U.S. in sales last year, according to International Energy Agency (IEA) data. Norway, with strong incentives and high interest in environmental concerns from the government and the public, had by the best PEV sales in Europe last year. China saw about 336,000 PEV units, the U.S. 159,616, and Norway 50,180 last year. Battery electric vehicles is getting the majority of sales in these largest markets, but plug-in hybrid electric vehicle sales saw a good deal of growth last year. China, Japan, Netherlands, and Korea saw more BEV growth last year but nearly all the other markets saw significant growth in PHEVs. 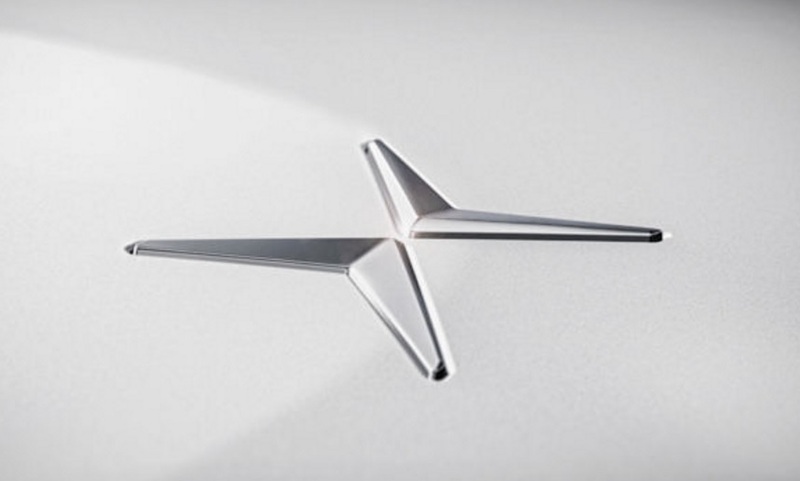 Polestar 1 available to subscribers: Volvo Cars will be bringing Polestar, its new electric performance car brand, to the U.S., China, and Europe through an innovative subscription service. The company said that since the launch in October, enthusiasm has been high enough to sell off the early production volume. The first model, the Polestar 1, will be start production in mid-2019 at a new factory in Chengdu, China. The monthly subscription cost will be $2,000 for the entry-level Launch package that covers registration, insurance, and maintenance, with no deposit required. The Polestar 1 has a 600 horsepower electric performance hybrid powertrain. It will be the longest running battery-only plug-in hybrid out there with the ability to go 150 kilometers (93.2 miles) on battery power. Criminal charges for ex-Uber employee: A former Uber executive is facing criminal charges likely to be filed by the U.S. Attorney’s office over alleged theft of Waymo’s intellectual property for self-driving cars. Alphabet’s self-driving car division, Waymo, has alleged that one of its former engineers, Anthony Levandowski, stole its trade secrets before founding, Otto, the startup autonomous truck company that he sold to Uber for $680 million last year. The November 22 letter confirms that the Justice Department has opened a criminal investigation without naming targets of the investigation. The letter was unsealed Wednesday by a federal judge. Uber has denied all the allegations made by Waymo, and fired Levandowski in May. Cummins Westport wins EPA and CARB certification: Cummins Westport Inc. has received certification from both the U.S. Environmental Protection Agency and the California Air Resources Board for its 2018 L9N and B6.7N natural gas engines. Both engines meet CARB optional Low NOx standards, as well as 2017 EPA greenhouse gas emission requirements. That makes them some of the cleanest engines available today for truck and bus customers, according to the company. It will be of interest to truck and bus fleets investing in powertrains for future vehicles tapping into the full emission-reduction benefits of renewable natural gas. The L9N is certified to the CARB optional Low NOx standard of 0.02 g/bhp-hr ‒ a 90% reduction from engines operating at the current EPA NOx limit of 0.2 g/bhp-hr, and is available with ratings from 250 to 320 horsepower and 1,000 lb.-ft. peak torque. The B6.7N is certified to the CARB optional Low NOx standard of 0.1 g/bhp-hr – a 50% reduction from current EPA levels. It’s available with ratings from 200 – 240 hp and 560 lb.-ft. peak torque. EV tax credit: The electric vehicle tax credit may be salvaged as House and Senate leaders negotiate revisions the sweeping tax bill, according a Republican source familiar with the matter. The $1.5 trillion House bill had eliminated the $7,500 tax credit and had also curtailed a wind energy tax credit. The senate bill had left both in place. EV advocates and automakers have been lobbying to salvage the tax credit, which has been an integral part of marketing EV sales especially to first-time buyers. Lyft going global: Ride-hailing firm Lyft will be going beyond the US market for the first time by serving the greater Toronto area. Lyft has been part of a global alliance with ride-hailing and ridesharing firms competing with market leader Uber. 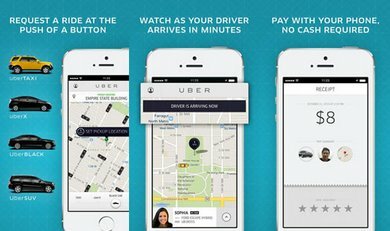 Canadian consumers had been choosing between Uber and taxi rides and are expected to welcome having another choice for mobility services. Hybrid more efficient for owners: Vincentric just released its 2017 U.S. Hybrid Analysis results today showing a change in the market over the past year with consumers finding more options in fuel-efficient hybrids. The percentage of cost-effective hybrids has increased 16 percentage points compared to the 2016 study. 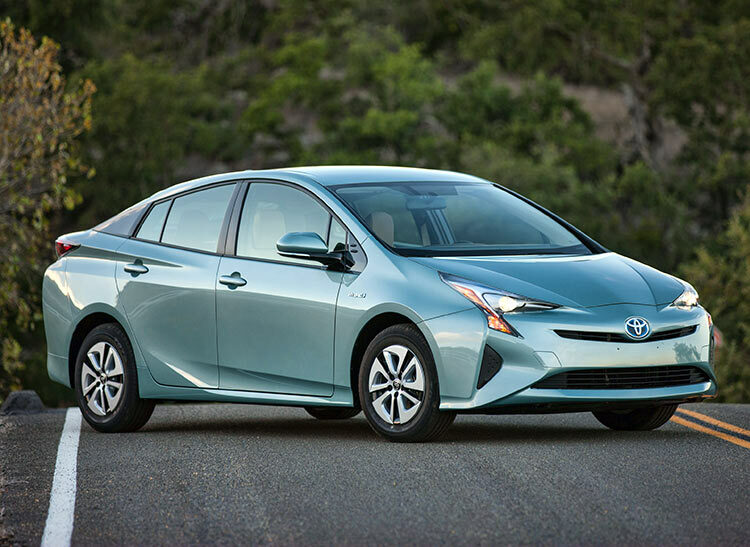 For 26 of the 65 hybrids evaluated, or 40%, these hybrids have a lower total cost of ownership compared to their closest all-gasoline powered counterpart. Since 2012 the percentage of cost-effective hybrids had steadily decreased with the trend changing this year. Luxury hybrids had the highest percentage of cost-effective hybrids at 46%, The Lexus CT200h had the largest savings in the study, showing that buyers could save $7,750 over five years of ownership compared to the similarly equipped Lexus IS 200t. Automakers opposing ZEV in Washington: Automakers lobbied Tuesday in Washington against California’s zero emission vehicle model in favor of a single national standard. During testimony before the House Energy and Commerce Committee, John B ozzella, president of the Association of Global Automakers, made the argument that California is favoring electric and fuel cell vehicles over more practical advanced gasoline engines, lighter materials, and other technologies to reduce fuel consumption and greenhouse gas emissions. While automakers have supported the ZEV mandate adopted by California and nine other states, automakers are hoping the Trump administration and Congress will soften he standards. ”The ZEV program produces no incremental nationwide GHG emission benefits despite the high burden placed on vehicle manufacturers. 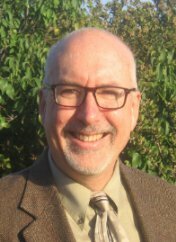 Current corporate average fuel economy and GHG emissions standards already specify each manufacturer’s total fleet-wide emissions, and therefore, in a system that averages together all vehicles in a manufacturer’s fleet, the fleet-wide emissions standards act as a cap when combined with an overall compliance fleet strategy,” Bozzella said. Largest Semi truck order placed: PepsiCo Inc. has placed the largest order so far for Tesla Semi electric big-rig trucks with 100 of the trucks being reserved. The maker of popular soda brands and snacks such as Doritos chips is taking on goals to reduce fuel costs and fleet emissions, the company said Tuesday. Tesla is joining other vehicle manufacturers in the electric truck segment including Navistar International Corp. and Volkswagen AG’s Truck and Bus with an electric medium duty truck by late 2019; and Daimler AG has delivered the first round of Fuso eCanter electric trucks to customers in New York. Study looks at fuel cell technology: Consulting firm E4tech has released The Fuel Cell Industry Review 2017, a comprehensive look at the broad range of fuel cell technologies in global markets. China is playing a leading role in market growth by reducing electric vehicle subsidies and pushing vehicle manufacturers to take light duty and heavy duty fuel cells more seriously. About 2,500 trucks and buses powered by hydrogen were deployed in 2017 compared to almost none in 2016. 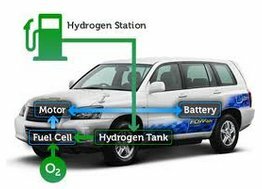 China faces a real challenge seen in other countries – there are only seven hydrogen fueling stations in the country with range limitations placed on the fuel cell vehicles. About 30% more fuel cell power globally was shipped in 2017 than 2016, and nearly 10,000 more units, according the the study. The study looks at three fuel segments in global markets – portable units, stationary units that provide electricity to corporate customers, and transport that includes passenger vehicles like the Toyota Mirai and heavy-duty vehicles like fuel cell transit buses. Trains and marine markets are also explored in the report, with growth seen in both sectors. China will lead electrified mobility market: China will drive the global market forward for mobility services, according to a new study by IHS Markit, Reinventing the Wheel: Mobility and Energy Future. Much of that will come from being by far the largest auto sales market in the world, with the consulting firm forecasting 28 million new vehicles to be sold there next year versus 17.1 million in the second largest global market, the U.S. Didi Chuxing is leading the way in that market for growth in app-based mobility services, as Uber and Lyft have done in the U.S. Electrified vehicles and development of autonomous vehicle technology will also play a part in China and other markets. China had more than 234,000 new energy vehicles (all-electric and plug-in hybrid electric vehicles) sold from January through September 2017, compared to over 140,000 unites in the U.S. market. 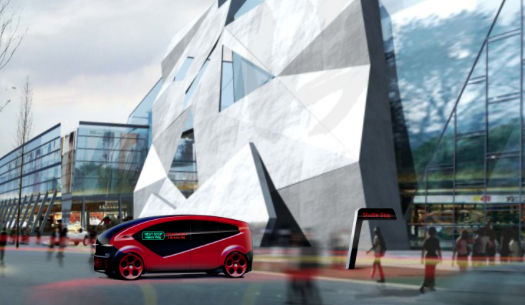 Robotaxis has become the buzzword among automakers and media on shared autonomous mobility services, and Nissan could be taking a leading role in the new and emerging segment. Nissan will launch a field test in Japan next year, expanding its autonomous vehicle program launched a few years ago and preparing for vehicle production by 2022. It will compete with what’s been started by Waymo this year, and by Lyft in Boston, and Renault in France. Nissan will be working with technology development company DeNA, and will operate the test project near the automaker’s headquarters in Yokohama. Driving range has been a critical issue for these vehicles, especially BEVs. It’s been less of a concern in other countries where short trips and use of other transportation modes is common. Drivers in the U.S. are more dependent on vehicles with a driving range of 300 or more miles in between fuel station stops or charging sessions. Fisker shuttle serving smart cities: Fisker Inc. will be bringing an electric shuttle to global markets through an alliance with Hakim Unique Group, a Chinese company. The Fisker Orbit will come through the two companies designing, developing, and integrating the Fisker autonomous, electric shuttle into the first project, a smart city implemented by Hakim Unique. Fisker will start delivering the first Orbit shuttles by the end of 2018. It’s built around a shared vision in where public transportation will be going into smart cities of the future. That will come through infrastructure, design, and EV innovation, Fisker said. NEVS 9-3 in production: NEVS began production of the NEVS 9-3 electric vehicle at its Tianjin, China facility, on December 5. The company has annual production capacity of 50,000 EVs in the first phase and up to 220,000 in the second phase. NEVS will be developing three generations of EV powertrains in Tianjin and Trollhattan, Sweden; it was founded in 2012 and acquired the main assets of Saab Automobile after its bankruptcy. 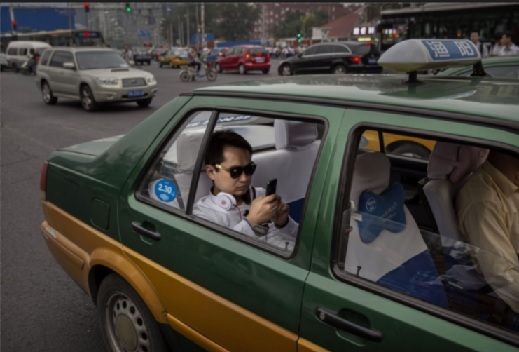 The second and third generations of the 9-3 are being developed with Chinese ride-sharing giant Didi Chuxing. The automaker is also working with the Global Energy Interconnection Corp. on a joint venture to provide service and infrastructure for EVs for ride-sharing services. NEVS also announced that it will launch mobility pilot programs in select European cities in 2020. 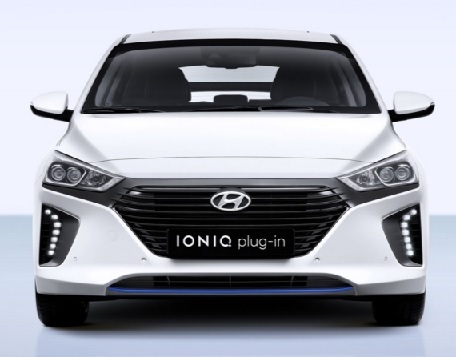 Ioniq Electric takes top MPGe spot: The Hyundai Ioniq Electric has taken the top spot for the second year in a row in the 2018 Fuel Economy Guide with its 136 miles per gallon equivalent rating (MPGe). Published annually by the U.S. Department of Energy and Environmental Protection Agency, the guide is based on current model year vehicles. Some vehicles from last year, such as the BMW i3, didn’t make the list this year. Fuel economy information on some vehicles was not available in time to be printed in the guide. All electric vehicles are given an MPGe rating, and plug-in hybrids are ranked by their combined gasoline/electricity rating. 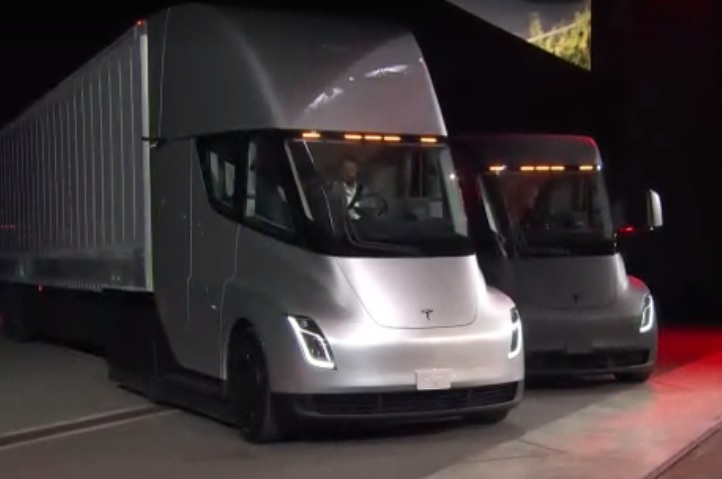 New customers for Tesla Semi: Anheuser-Busch and and Sysco Corp. have been impressed enough with the Tesla’s upcoming Semi trucks to order 40 and 50 of them, respectively. The Budweiser beer maker and global foodservice distribution company will see production start of the all-electric heavy-duty semi-trucks in 2019. For Anheuser-Busch, the Semi ties into the company’s objective of making its supply chain more sustainable, efficient, and innovative; while also improving road safety and lowering the company’s environmental impact. Sysco sees the electric truck tying into its commitment to corporate social responsibility for positive environmental impacts along with reduced fuel and maintenance costs. 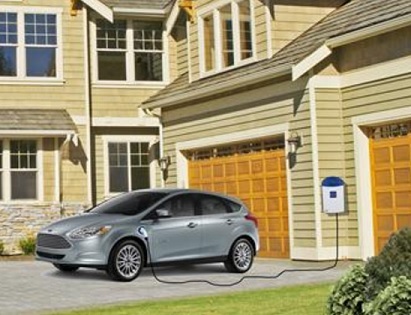 Ford building EV in Mexico: Ford Motor Co. will be moving production of an electric crossover to its plant in Cautitlan, Mexico instead of Flat Rock, Mich., by the summer of 2020. While that won’t go over well with the Trump administration, Ford said it will make way for additional investment of autonomous vehicles in its home state. 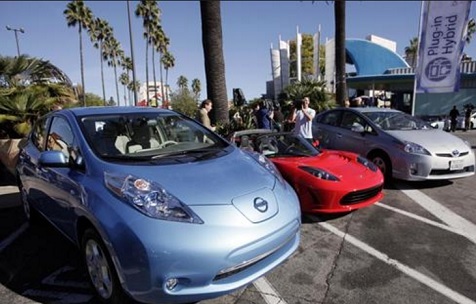 The electric crossover will be going at least 300 miles per charge, the automaker said. It ties into the automaker’s corporate strategy of takings it vehicle global markets and improving production efficiency. “This allows us to bring this exciting new vehicle to global customers in a more effective way to support our overreaching business goals,” Ford said in an internal memo obtained by Automotive News. 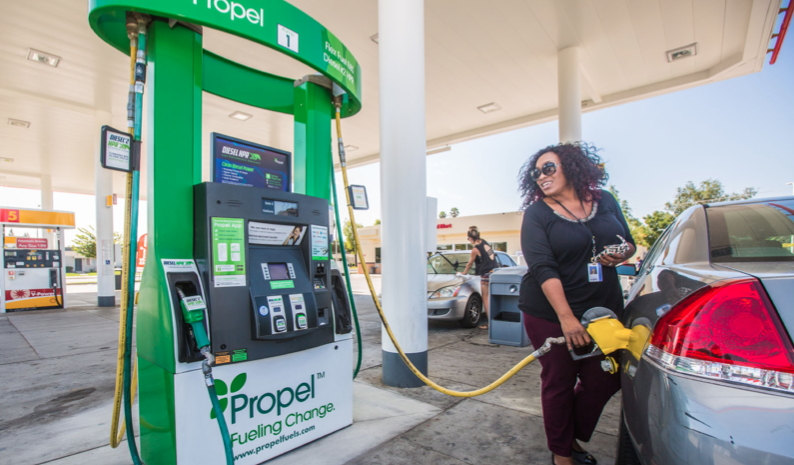 Low carbon fuels in California: Propel Fuels issued a report yesterday analyzing the impact of California’s Low Carbon Fuel Standard on alternative fuel consumption and the effect on emissions in the state. While targets are being met for 2020 goals, the study indicates that the current policy model will need to change to hit 2030 targets that will more than double the volume of expected low carbon fuels to five billion gallons. Propel Fuels and study partner ICF see that possible through flex fuel, high-efficiency diesel vehicles, electric vehicles, and hydrogen fuel cell vehicles. Through its network of fueling statins, Propel Fuels offers E85 made from corn and next generation sources such as switchgrass and agricultural waste material. Its stations also offer high-performance renewable diesel.